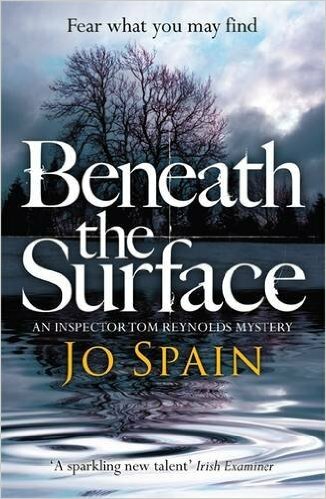 BleachHouseLibrary.ie: Exclusive Cover Reveal & Book GIveaway - "Beneath The Surface" by Jo Spain. 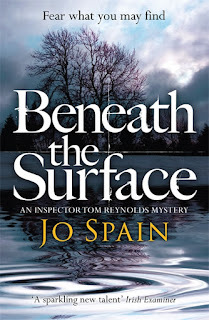 Exclusive Cover Reveal & Book GIveaway - "Beneath The Surface" by Jo Spain. 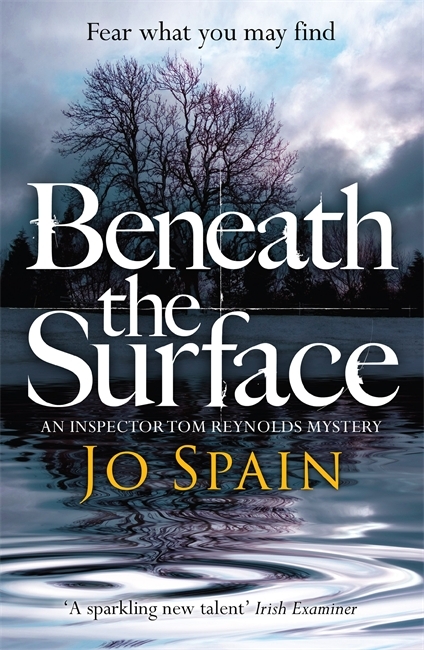 Thanks to Jo Spain, I am delighted to be the first book blogger to show you the cover of her upcoming title, Beneath The Surface, published later this year. The second in her Inspector Tom Reynolds series, you can read my review of book one, With Our Blessing, here. I was a big fan of Tom and cannot wait to read book two! 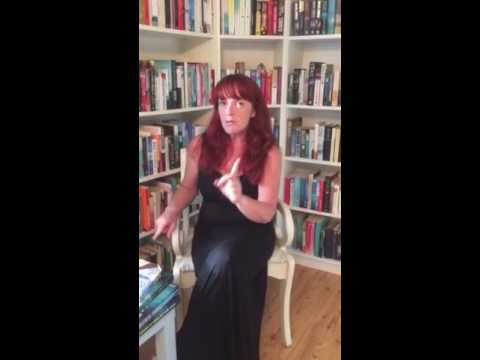 Jo has kindly donated a signed copy of her debut novel as a giveaway prize. To be in with a chance of winning With Our Blessing, just enter via rafflecopter link below. Open INT. Good Luck! Ryan Finnegan, a high-ranking government official, is brutally slain in Leinster House, the seat of the Irish parliament. Detective Inspector Tom Reynolds and his team are called in to uncover the truth behind the murder. As the suspects start to rack up, Tom must untangle a web of corruption, sordid secrets and sinister lies. At first, all the evidence hints at a politically motivated crime, until a surprise discovery takes the investigation in a dramatically different direction. Suddenly the motive for murder has got a lot more personal . . . but who benefits the most from Ryan's death? I know this as surely as I know I don’t want to. I can’t bear it. I cannot stand the thought of leaving my girls, of not seeing them again. Kathryn will never recover. We have defied the odds of so many married couples and are as much in love as the day we met. Sweet, beautiful, funny Kathryn. And Beth. Oh, my little baby girl. The newness and perfection of her skin. The smell of her soft hair. Her little pudgy hand clasping my finger like she’ll never let go. She’s part of me, but she’ll never know me. People will tell her I loved her but she will never understand how much. She won’t know the almost physical pain I felt when she was born, so overwhelming was my love for her. I couldn’t speak when I held Beth for the first time, the lump in my throat was so large. Kathryn laughed. She’d never seen me cry before and it was because I was so happy. Did I know it would come to this? Why didn’t I realise that I was playing Russian Roulette not just with my own future, but with my family’s too? I fall forward into the cold arms of the angel. The images fall from my hands, scattering across the floor. My leverage and my downfall. How little they mean now. I would give anything to turn back time and be with my girls, to take them in my arms and squeeze them tight, my heart exploding with love. Because, too late, I know that’s all that matters. My body writhes in agony as I try to turn my head. I want to look my executioner in the eye. Who is this person who will steal everything from me? My punishment is cruel. My threat was to a career, not a life. This is not fair. I will beg. I will wail and I will plead and maybe God will intervene. He will forgive my naivety, my arrogance. This angel will carry me not to Heaven but to help, and I will fight to live. I will fight for them, Kathryn and Beth. But all hope of salvation evaporates as I behold my attacker. My mouth struggles to form the word. And then I see it, but I don’t see it. The end. There’s no shot at redemption. The gun is in my eyeline as the second bullet is fired. That’s the one that kills me. 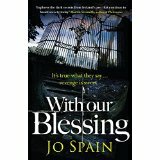 Beneath The Surface and With Our Blessing are published by Quercus Books.